The L&L Group is a group of online casinos run by the same people. Some very popular online casinos are from this group. They have made a decision to close some of their online casinos. The main reason because they didn’t run that well and also because other casino brands from their group are much more popular. 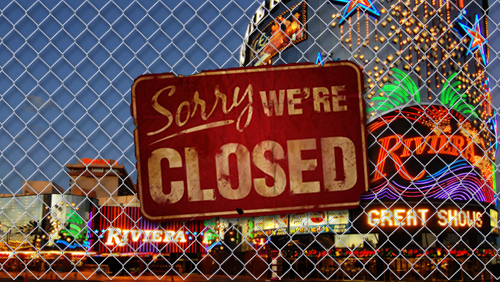 As of December 1st, the following online casinos will no longer accept new players and as of January 1st they will close down the casinos completely. In the meanwhile you can still play here, but maybe it’s better to check if you still have any balance and withdrawal the amount, or try to make something more and then withdrawal it. I will remove any mention of these casinos on the website, to avoid confusion. If you are looking for another online casino within the same group, I would suggest Fun Casino. Fun Casino offers 11 no deposit free spins for all new players on Starburst, Joker Pro, Wild Wild West or Finn & the Swirly Spin. And a 50% first deposit bonus up to €499,- with another 100 free spins. On your second deposit you can claim another 50% bonus up to €499,-. Fun Casino offers games from NetEnt, Amatic, Microgaming, SG Interactive, IGT, Big Time Gaming, Nextgen Gaming and more.